Texas continues to grow as a hub of hedge fund activity. It is one of the top 10 states in terms of hedge fund assets under management and total number of hedge funds in operation. 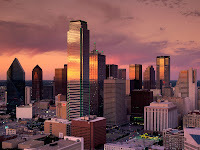 If you are looking for a directory or list of hedge funds in Texas please see this article: Directory List of Hedge Funds in Texas | Dallas Houston. Below is a short collection of articles on the hedge fund industry in Texas. I am always looking for more valuable online tools and resources to add to these geographical hedge fund guides to the hedge fund industry. If you have a white paper or PowerPoint that I can include here please send me an email and I will post it for everyone's benefit. A short list - providing a sample of names of hedge fund managers in Texas. Another great list of hedge funds in Texas, this one for sale. Access it by clicking here here.